Bella Knitting: Increase Tutorial: YO! In my last post, we explored the "K-Fab" increase (knit into front and back, or kfb). 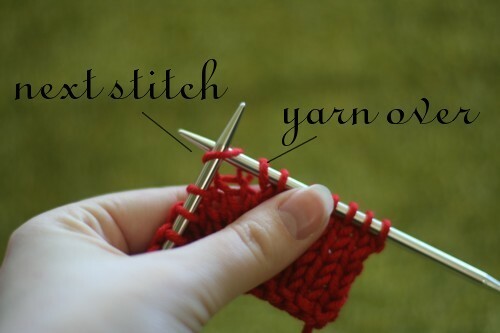 Today, I'm going to walk you through the basic yarn over increase, also known as "yarn forward," abbreviated "yo" or "yfwd" in knitting patterns. If you want to knit lace -- and at some point in your knitterly life, I assure you, you will want to knit lace, because it exerts some kind of crazy magnetic pull -- knowing how to work yarn overs is essential, because all lace patterns are made up of varying combinations and arrangements of yarn overs and a few basic decreases. 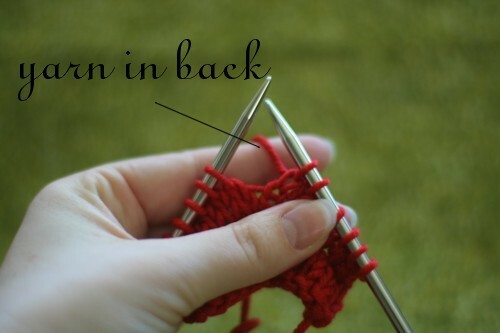 Normally when we work knit stitches, the yarn is held in the back, as in the photo below. 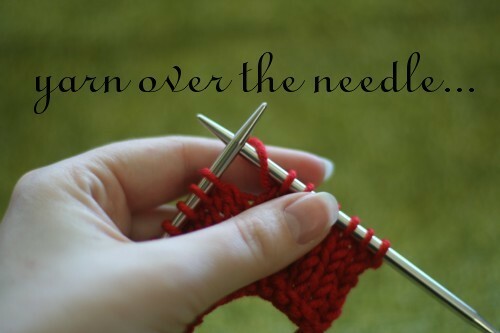 When we go to knit the next stitch, we then bring the yarn over (hence the term "yarn over") the needle. See how it's resting there on the right-hand needle? 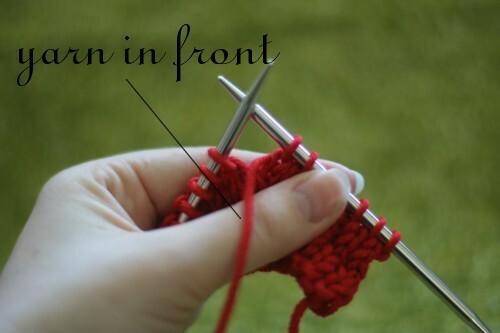 Make sure the yarn over doesn't slip off the needle as you knit your next stitch, or when you're working across the wrong side. Because it's just looped over the needle, it's not very secure until it's been worked on the next row. 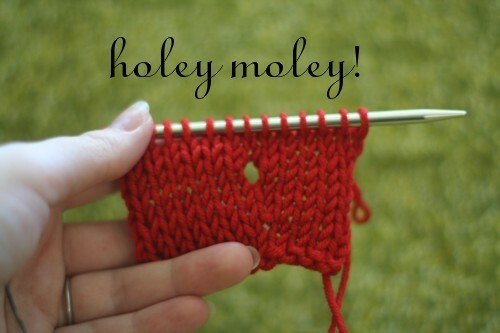 Here, you can see how the yarn over creates a hole. Like knitting into the front and back of a stitch, a yarn over is a "visible" increase, and a very nice decorative one at that. Of course, if you wanted the holes (eyelets) without increases, you'd just work a corresponding decrease each time you worked the yarn over -- for example, by knitting two stitches together after each yarn over. 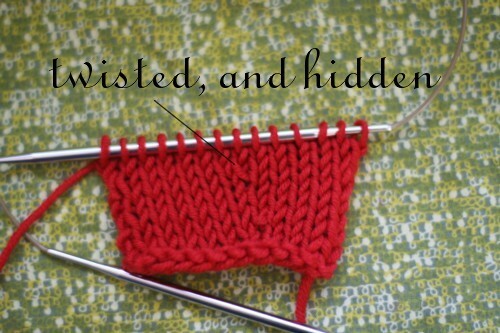 Interestingly, a yarn over can also be turned into an invisible increase: if you twist the stitch when you work the yarn over on the next row or round, you can close it up, rendering it nearly invisible.